Creative dribbling coupled with powerful shooting skills provide a solid foundation for successful attacking soccer. Dribbling skills enable players to maintain control of the ball while running past opponents or when penetrating open space to create scoring opportunities. Once created, shooting skills are used to successfully finish those opportunities with a goal scored. 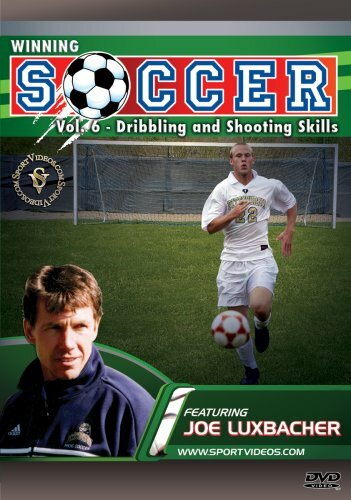 This comprehensive DVD provides players and coaches with a progressive series of drills designed to improve each players ability to successfully execute these important skills in game situations. This DVD is a great resource for both players and coaches at any competitive level.